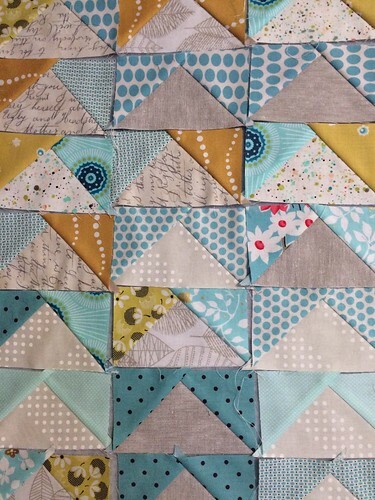 Pillow Talk Swap – all wrapped up! I don’t do too many swaps anymore where I actually make things for other people. I wish I could, but I just don’t have the time and can’t over commit. But when I found out that there was IG edition of the Pillow Talk Swap (a perennial favorite from Flickr days), I decided to hop in and do a little swapping. My pillow has now been received and I have received my own, so I can finally share! I got Kelly aka Scrap Studio, who was freaking running the whole thing as my partner. No pressure there. lol Thankfully, her favorite colors are some of my own, so I got to work in my happy place. It took me a long time to decide on a pattern for her. But she had a couple of definitely requirements for her pillow that I wanted to do. 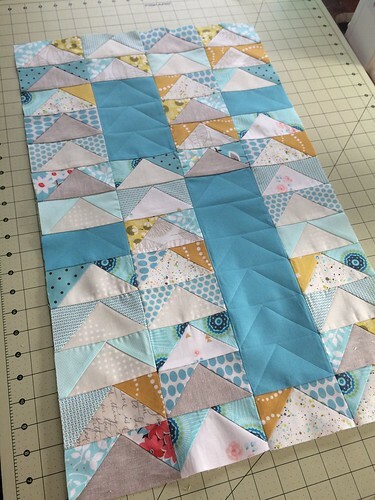 Mainly that it be a rectangular pillow…which already sets your mind to designing because not every design we do in quilting is particularly effective in rectangular form. But I decided to look at it as a way to guide my choice, not a limitation. 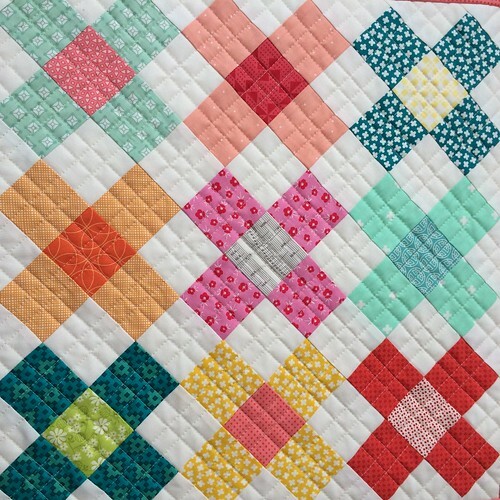 Knowing that Kelly really appreciates traditional designs as well, I finally chose the class Flying Geese Block. But I really wanted to make it fresh and modern. It’s such a graphic shape that you can definitely do that. I immediately went to my happy aqua place for fabric scraps and also threw in a healthy dash of low volume fabrics from my scraps (which then promptly distracted me for a few days because I decided my scraps DESPERATELY needed to be gone through – I have some for sale that I will offer here soon if anyone is interested….GREAT scraps). 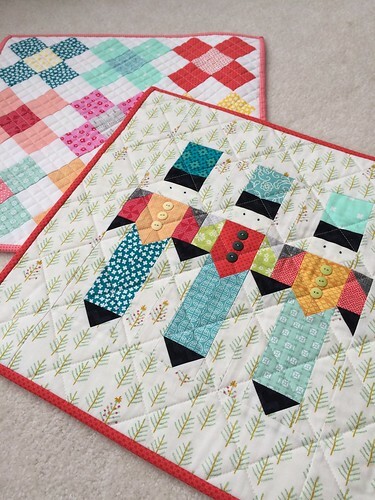 I wanted to make it modern, so I also added in some solid fabric that would showcase some “ghost” quilting that I did in the flying geese pattern. I really love how that turned out. 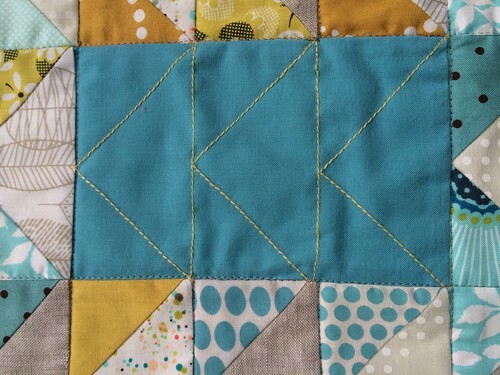 I used a thick thread in my machine and slowly sewed them. I added an invisible zipper on the end (second one in a month! score for practicing tricky skills!) 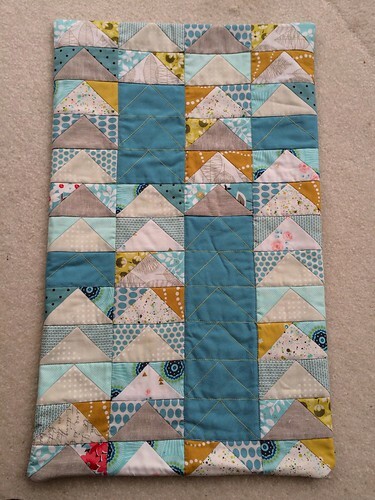 and quilted in the ditch on the rest to showcase the pattern of the geese. I think Kelly really liked the pillow (thank goodness!) and she’s now trying to find the perfect spot for it in her house. And there was the fabulous pillows (yes two!) that I received from Samantha aka Aqua Paisley. 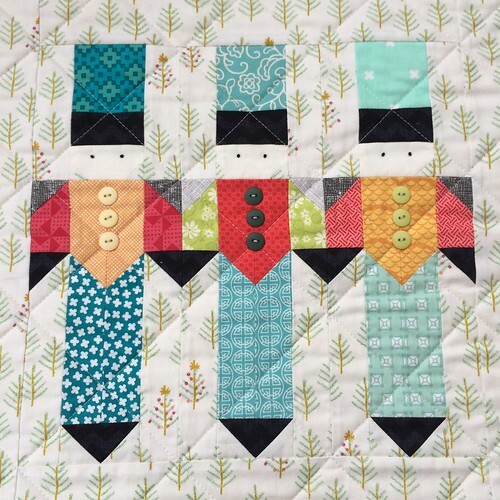 She actually designed the Nutcracker pillow and has the pattern for sale, so go get it!! Trust me! It’s adorable. I ADORE them both and they traveled all the way from Australia to South Bend, IN. How cool is that?! Thank you Samantha!!! 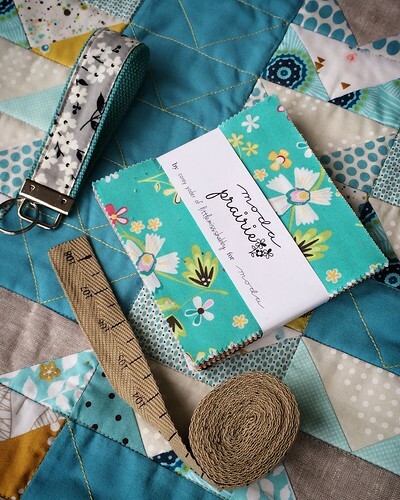 My Craftsy class is LIVE! These are all adorable pillows! What a good swap 🙂 And to think, here I am in Sweden, born in Mishawaka, taking all about it…lovely world. Love your modern flying geese pillow Angela! 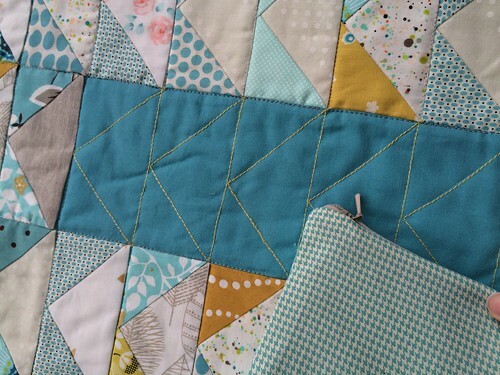 The solid areas with ghost quilting really make it great! Samantha's two pillows are fabulous!